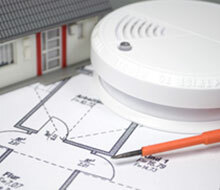 Global Fire Technologies, Inc. is here to provide complete, one-stop shopping in the area of commercial fire alarms. 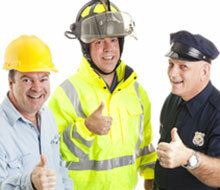 As a full-service fire protection company, it’s one of the most important things that we do. 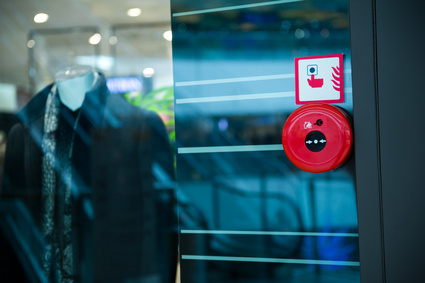 Whether you manage an entire shopping center or a boutique store, commercial fire alarm systems are necessary not just to protect your shoppers and employees, but to also protect your biggest investment: your business. While insurance is crucial to help you manage the fiscal impact of a fire, it can rarely compensate you for all the losses of a fire – especially when it comes to liability when lawsuits ensue. Moreover, as the owner or manager of a commercial business, you have an ethical and, very likely, a legal obligation to ensure every person present on your property is protected by a reliable commercial fire alarm system. Lives, as well as valuable property, are at stake. Global Fire Technologies, Inc. provides businesses of all sizes with everything they need to ensure that their property and its occupants are protected by the finest commercial fire alarm systems on the market. From your selection of the appropriate products, to ensuring that installation is handled as efficiently as possible, to providing complete fire alarm monitoring and maintenance, we are there to insure that alarm systems are fully operational and legally compliant at all times. Ensuring that your employees and visitors are alerted to the threat of a fire as quickly as possible is one of the most important steps you can to take – both in terms of ethics and fiscal prudence. Global Fire Technologies, Inc. is one of the most respected names in Southern California. We are known for achieving maximum safety with the greatest possible efficiency. It doesn’t matter what kind of business or residential building or complex you own or manage: fire is always a threat and protecting against it is among your most important obligations. Global Fire Technologies Inc. is a full-service fire protection company providing complete services and support. We provide equipment, installation, maintenance, and testing of residential fire alarm systems as well as alarm systems covering commercial properties. We emphasize providing the highest level of service and protection while also providing our clients with maximum value. 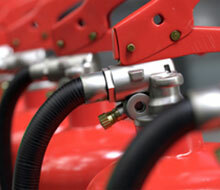 We pride ourselves on being equally adept at all areas of fire protection. Aside from our status as one of Southern California’s finest fire alarm companies, we are also expert in providing companies with fire sprinkler and fire extinguisher installation, service, and monitoring. Providing the best possible service with the utmost in efficiency and value is what Global Fire Technologies is all about. If you are concerned about the status of your fire protection program, the next phone call or e-mail communication you have should be with us. If you own or manage a residential or commercial property, we are delighted to discuss your needs and concerns regarding residential and commercial fire alarms, fire sprinklers, and fire extinguisher. Whether you are interested in obtaining new equipment, installation, monitoring, testing (including Reg 4 tests), we want to hear from you. 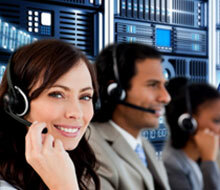 Please call us at 1-818-330-7136 or visit our contact page. We provide free estimates and consultations. Our friendly and professional staff looks forward to hearing from you.